If you operate a business and don't make effective everyday business contracts incorporating Terms & Conditions of Trade unique to your business you are asking for trouble...and it will find you. 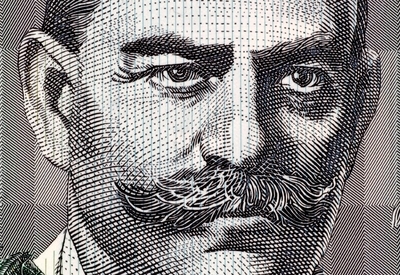 Do you have a contractual right to recover collection costs? Do you have any security for payment? With TradeSafe Contracts your answer will always be "Yes!". 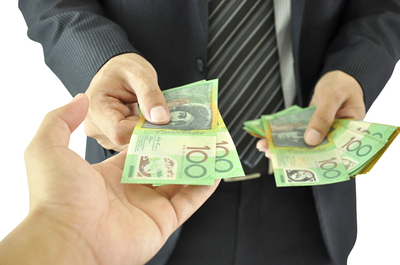 TradeSafe Contracts are the difference between getting paid and not getting paid should a problem arise. How effective are the everyday business contracts that you make? Do you have personal guarantees or real property security that can be enforced? If not, you will probably not recover the money if your Customer becomes insolvent. Do you have clauses creating security over personal property (eg retention of title) and tailored specifcially to the new Personal Property Securities Act? If not, any security you did have over stock or equipment will be lost if the Customer becomes a bankrupt or goes into liquidation. Will you be able to recover your enforcement costs (including our commissions) if you need to take action to recover a debt? If not, you will be left out of pocket. Most people have a story about someone they know who had a Customer that went in to liquidation or bankruptcy and they only recovered a few cents in the dollar or nothing at all. Too many businesses put themselves at risk of customer insolvency. Trade safe with TradeSafe Contracts. Don't wait until you get stung by another debtor before getting your contract documents and procedures finally sorted out. 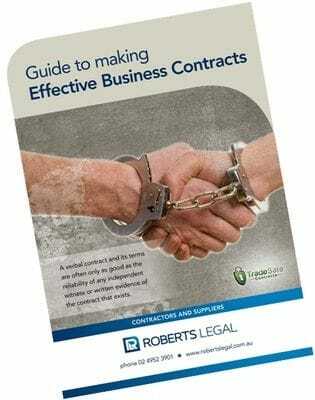 For more information about this service, download Roberts Legal's Guide to Making Effective Business Contracts now. TradeSafe Contracts are easy to use and will pay for themselves the very first time you have a problem with a Customer. The Documents are comprehensive legal documents and will be prepared by experienced Commercial Lawyers to cater specifically to your business. The Documents also come with a Satisfaction Guarantee. Don't look back the next time you have a problem with a customer and wish you had have acted earlier. 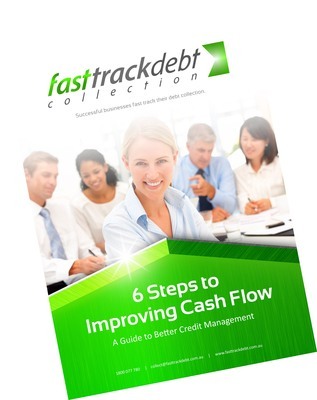 If your business has debtors that aren't paying submit them to us today for collection. We collect debts fast, that's why we also buy debts. 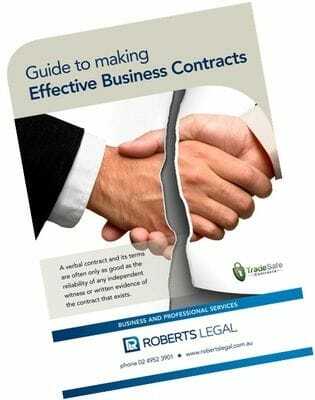 If you are ready to start making Effective Business Contracts, submit an Order Online via Roberts Legal's website or download and complete an Order Form. We will gladly take the time to discuss your business and answer your questions.